LondonMetric Property Plc (LON:LMP) announced that it has exchanged on the sale of an Odeon Cinema in Warrington for £13.7 million, reflecting a NIY of 4.8%, and acquired an urban logistics asset in Milton Keynes for £12.0 million, reflecting a deemed NIY of over 5.0%. At Warrington, the 10 screen, 36,000 sq ft cinema formed part of the portfolio of ten Odeon Cinemas acquired in 2013 at an overall yield of 7.3%. 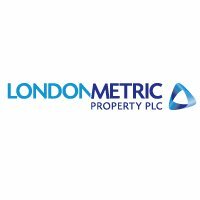 Completion of the sale to an institutional pension fund will be delayed until December 2018 allowing LondonMetric to implement a potential asset management initiative that would result in an additional payment. 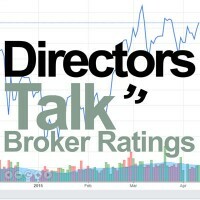 The disposal is above current book value and is expected to generate an ungeared IRR of c.20%. At Milton Keynes, the 112,000 sq ft urban logistics warehouse is let to the Royal Mail for a further 10 years. The well presented and modern warehouse is located adjacent to the M1 (J13/14) and was comprehensively refurbished in 2013. The property is let at a low rent of £3.20 psf and there is an outstanding rent review from May 2018. This is expected to increase the rent by over 80%. “Our Odeon cinemas continue to generate strong income and capital returns and we have responded to investor demand for property than can deliver long, predictable and growing income. Knight Frank advised LondonMetric on Warrington. At Milton Keynes, LondonMetric was advised by JLL and the seller was advised by Kimmre and Savills. Click LMP for the full archive.